I found this old post compiled by Matthew Shultz: To be Deep In Medieval History is to Remain Protestant. I was intrigued by the quotes. "C.S. Lewis once quipped that the more medieval he became in his outlook, the farther from Roman Catholicism he seemed to grow." 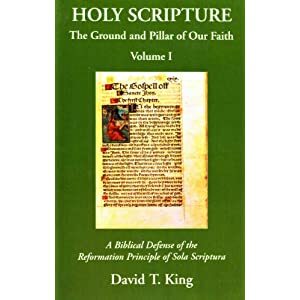 Douglas M. Jones III, Foreword to Keith Mathison's The Shape of Sola Scriptura (Moscow, ID: Canon Press), 11. "What I meant was that if I replied to your original question (why I am not a member of the Roman Church) I shd. have to write a v. long letter." C.S. Lewis, Letter to Sister Mary Rose, January 1950, The Collected Letters of C.S. Lewis, Volume 3: Narnia, Cambridge, and Joy, 1950 - 1963, Ed. Walter Hooper, (New York: HarperCollins, 2007), 8. "The question for me (naturally) is not 'Why should I not be a Roman Catholic?' but 'Why should I?' But I don't like discussing such matters, because it emphasises differences and endangers charity. By the time I had really explained my objection to certain doctrines which differentiate you from us (and also in my opinion from the Apostolic and even the Medieval Church), you would like me less." Letter to Mrs. Halmbacher, March 1951, Ibid., 106. "It is a little difficult to explain how I feel that tho' you have taken a way [conversion to Roman Catholicism from Anglicanism] which is not for me I nevertheless congratulate you..." Letter to Mary Willis Shelburne, November 10, 1952, Ibid., 248-249. "This was in response to a request for a personal meeting to help me sort out two different problem areas, (1) which Christian denomination I should settle on...I never felt happy as an Evangelical. I was seriously considering becoming a Roman Catholic...I was vexed about the problem of papal infallibility and Lewis recommended I should read "The Infallibility of the Church"  by [George] Salmon. This in fact did hep me settle the question." Ibid., 1133. “Christian Reunion”, in Christian Reunion and Other Essays, edited by Walter Hooper, London: Collins, 1990, p. 17-18.